Built in 1924, and still in use by AmTrak. This entry was posted in Florida - History, Photography, Travel and tagged AmTrak, Atlantic Coast Line, Florida - History, National Registry of Historic Buildings, Photography, railroad, Sebring FL, Travel on March 9, 2012 by Bill. 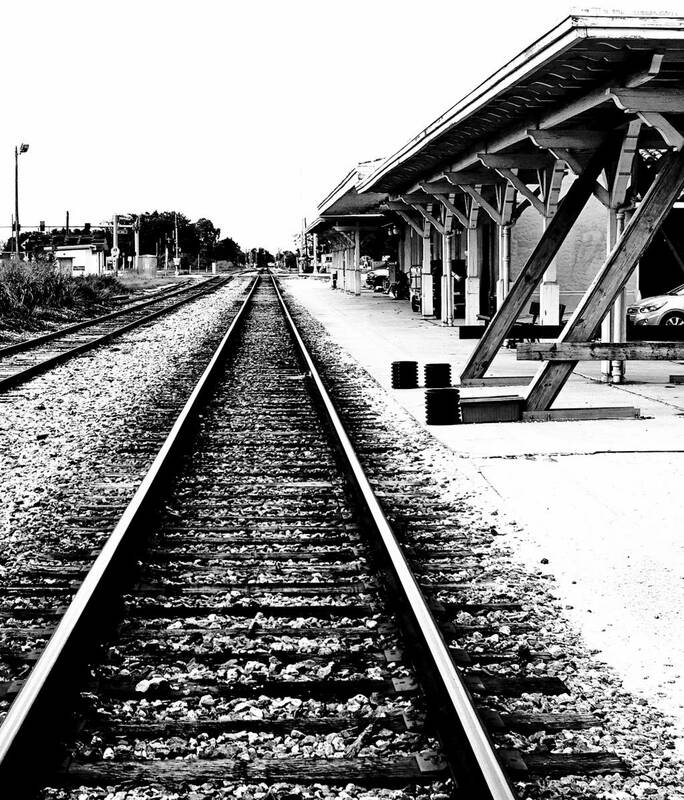 In the ’40s and ’50s the Seaboard Airline Railway, using the railroad station in Sebring, was the route of three of Ameriica’s most famous trains. They were the Silver Streak, the Silver Star and The Orange Blosson Special. The black N white shot adds to the contrast of the shot, I like it. Wonder how many years it has been in use? The Sebring Amtrak station (also known as the Old Sebring Seaboard Air Line Depot as well as the Seaboard Air Line Passenger Station) is a historic train station in Sebring, Florida, United States currently served by Amtrak, the national railroad passenger system. Located on East Center Avenue, the station was constructed in 1924 by the Seaboard Air Line Railway. On March 16, 1990, it was added to the U.S. National Register of Historic Places.